Perhaps my favorite homemade jelly was made from Queen Ann’s lace. I love the novelty … the “wow” factor. I remember a soft floral flavor, the profile one associates with German-style wines. Trouble was, no one ate it. I did for a bit, but it lost its appeal. I blame that on merchandising; specifically, its colorless appearance. People are attracted to bright colors, and that’s especially important in food. But, not just any color, the colors we associate with the food. For example, ketchup is red like tomatoes. It was a horrible fail when Heinz introduced blue and green ketchup in 2003. Too unnatural. So what color would we perceive at “natural” for Queen Ann’s Lace jelly? I guess, if I had to choose, I might try a golden yellow much like white-grape jelly. That way it communicates what it is, while adding appeal. But, what about mint jelly. On the grocery store shelf it’s Kelly green. In its raw, homemade form it’s yellow. Maybe if you squint you can imagine green? So, what’s with the bright green color at retail? 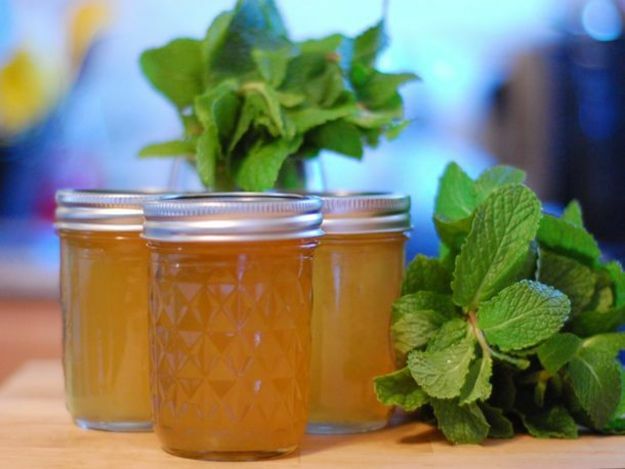 We associate the color of mint leaves with the color of the herb, and thus the color of the jelly. Hence, commercial mint jelly is green. As a purist, that leaves me with a dilemma: To color or not to color? I want natural and I want appealing. Can I have both? A google search on the web, scares me that any/all(?) food coloring causes misbehavior in children and potential for cancer in everyone. Because of that, often undocumented, and possible fear-mongering, many a mommy blogger has directions for homemade, even organic, food dye. But, spinach whizzed in a blender is outside the chemistry of my jelly recipes. When I surfed onto the site of the slightly alarmist Center of Science in the Public Interest I found a report on food colors. This study seemed to identify green food coloring as among the most benign in a small scale experiment on mice. 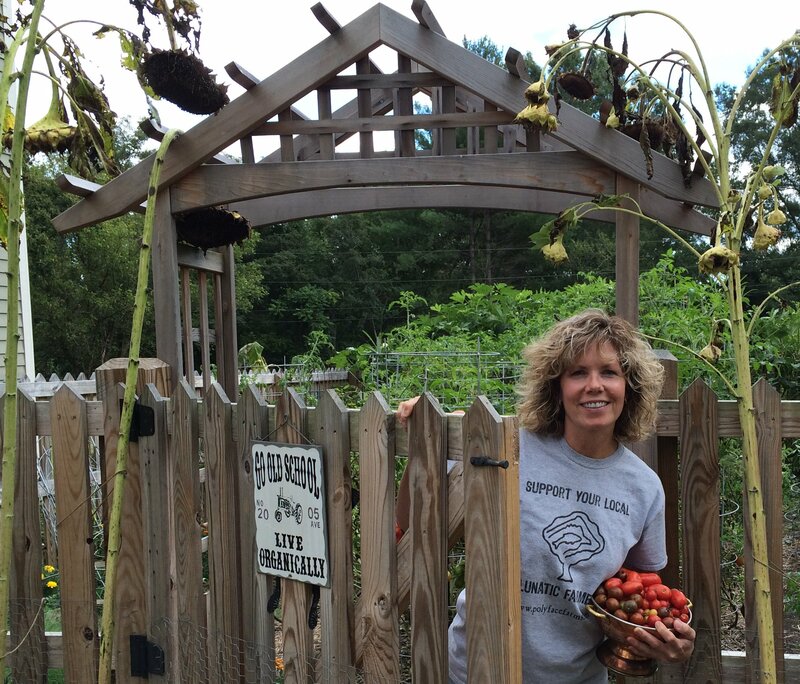 Laura Dobson — master gardener, CSA coordinator, local food advocate — always has dirt under her nails. To color or not to color? What would you do?